take cost out of the equation and its easier to be rational. The phone in itself does feel rather nicely made and relatively capable. The main downsides are the rather shockingly poor battery life and the sapphire display; its nearly scratchproff but marks up with fingerprints like crazy. sadly no support left on these now vertu are bust so if it breaks you're on your own! anand, 24 May 2016plz tel me wer to buy u gotta go to their website mate . i have an aster. bought it from their bond street showroom . london . but u can get online too . i suppose u r from india , as am i . . its nearly 12 lakhs . so . . . . good luck with that . if u want a luxury phone but not thaaaaat expensive , i think the aster is better . . cheers mate . good luck . Just ordered mine last week. Hope to receive it ASAP! Uday, 29 Jul 2015Good One! You bought it. Dint you? Anonymous, 28 Jul 2015Hey! dude I have read your comment so I want to help you out about that. I think you already t... moreGood One! Anonymous, 28 Jul 2015last month I have this phone.. the camera is good and the features is well super.. but the thi... moreHey! dude I have read your comment so I want to help you out about that. I think you already try it to call to heaven but you cannot connected so there must be a damage on your device. Once I did try but it was ring but they didn't pick up. I fell asleep and at the early morning I woke up I check my phone and there was a miss call but when I check it no number was there. I got shocked! 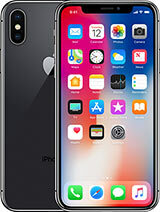 last month I have this phone.. the camera is good and the features is well super.. but the thing is that I cannot make call to heaven.. you know I really miss my grandpa so I thought of calling right away when I bought that day BUT its hopeless.. Can anyone tell me how to make call to heaven? Please give me some suggestion as soon as possible. 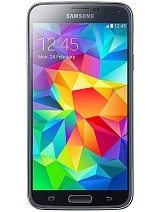 why cant the chinese bring copycats, with mediatek chipsets. jjzones, 30 Apr 2015Judging by the cost, I should be able to call heaven and speak to the divine. However, it does... moreyou use one of this already? OMG I thought buying an Iphone was a stupid waste of money. Maybe I couldn't (in other words I won't) afford purchasing this ph. But reading the specs, this is a normal ph and also is ugly. ... I wish i have more words for this, but someone with a brain in the head would think even if this a made-for-rich phone is a lots of money for a ph that you could get in the marget with the same or higer specs with a lower price. Judging by the cost, I should be able to call heaven and speak to the divine. However, it doesn't. If you haven't used one don't comment on it. I have seen what it offers and they are tremendous. Except if you are a very important important personality, you shouldn't bother buying it. I can't begin to state the other features for security reasons but if you knew the intricate details of what it offers you probably would consider it if you can afford it. 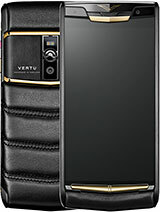 You can only buy Vertu of you make a reservation in one of their shops. It also has a built in button for when you are kidnapped. I hope you get the picture. 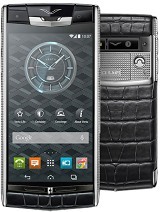 Total of 86 user reviews and opinions for Vertu Signature Touch.